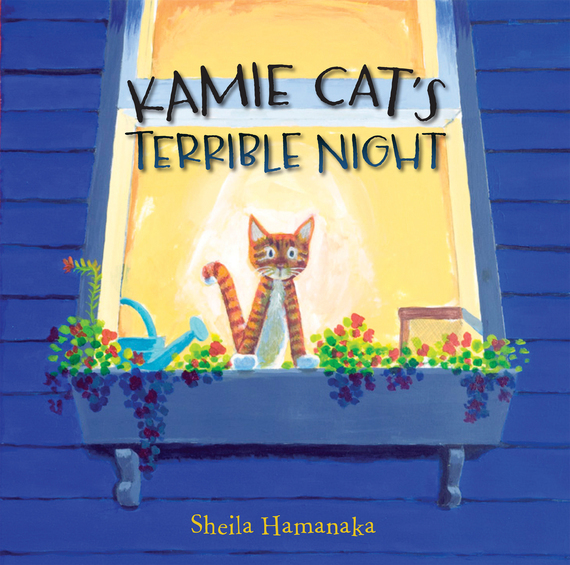 The other day I heard some news that made my heart do a happy dance: the Animal Welfare Institute (AWI) recently donated picture books about pets to children in over 600 domestic violence shelters across the U.S. The whole idea is to help kids who have witnessed or experienced abuse heal, and encourage humane treatment of animals. Mary Lou Randour, Ph.D and senior advisor for Animal Cruelty Programs and Training at the nonprofit AWI in Washington, D.C., told me that partnering with the National Resource Center on Domestic Violence to distribute the books was a natural fit. "We have this common interest in keeping children and families and pets safe," Randour said. 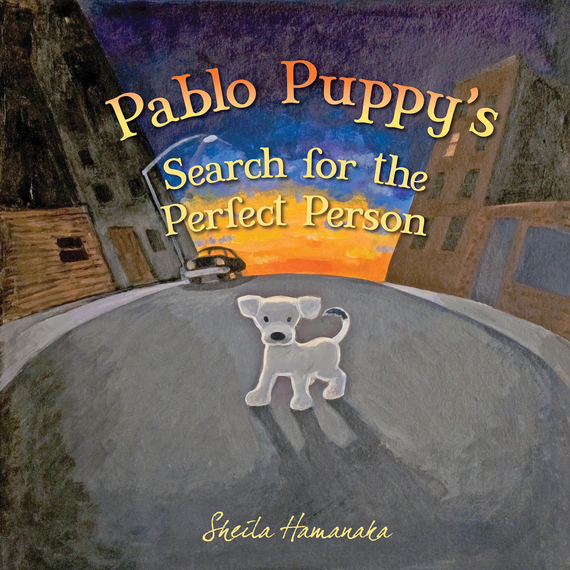 The two books, Pablo Puppy's Search for the Perfect Person and Kamie Cat's Terrible Night - both written and illustrated by Sheila Hamanaka - have beautiful art, positive messages and of course, happy endings. "There is a little drama and uncertainty where you don't know if a puppy is going to be adopted, or if the cat's going to find her way home, but all ends well," Randour said. Randour said in family violence, people who batter their partners often are also harming their children and pets. Up to 70 percent of people in abusive situations have pets, so abusers will threaten to harm or actually hurt the animals. "And then there are some gruesome examples where the abuser forces a child to also abuse a family animal," she said. After being exposed to such traumatic experiences, the children are more susceptible to psychological problems, such as acting out in school or even becoming violent to other people or animals, so intervening early is critical, Randour said. "Animals can be a key to trying to reach a child's heart, to promote healing and to regain trust and to reduce anxiety," she said. "Children can heal, but first you have to stop the abuse and get them out of the situation." Pets play a key role in escape planning as well. Studies have shown that as many as 48 percent of people in abusive situations stay out of concern for their pets' safety. "It is not paranoid to think that the abuser might hurt their pet if they leave - they hurt them when they're there," Randour said. So many domestic violence shelters and agencies partner with local veterinarians, animal shelters and foster families to provide a safe haven for the pets of families fleeing violence. AWI offers an interactive national map, the Safe Haven Mapping Project, with a state-by-state listing of sheltering services for animals of domestic violence survivors. "If you know a victim or you are a victim of domestic violence, you can put in your zip code and find the closest place to you that can help you with your pet," she said. Though there are a few domestic violence shelters that allow pets, such as the Urban Resource Institute's pioneering URIPALS program in New York City, typically pets are sheltered separately. Because the cats and dogs could use some TLC after witnessing and experiencing abuse, people can volunteer to walk or foster them by contacting local agencies or inputting their zip codes into the AWI map to find a place to help. Randour said a crucial way to help victims of family violence is to be aware of your neighborhood and contact the authorities if you suspect someone is being abused. "If you see something suspicious, whether in terms of somebody mistreating an animal or definitely a child, report it," she said. "Don't hang back because you think that you might need to prove something. Obviously you should do it judiciously and with good reason, but at the same time, it's important to act." If you are in an abusive situation, call the National Domestic Violence Hotline at 1−800−799−7233 or visit http://www.thehotline.org/. To find nearby shelter for your pet, visit http://www.awionline.org/safe-havens.